This entry was posted on July 22, 2011 by Spice Is Nice. 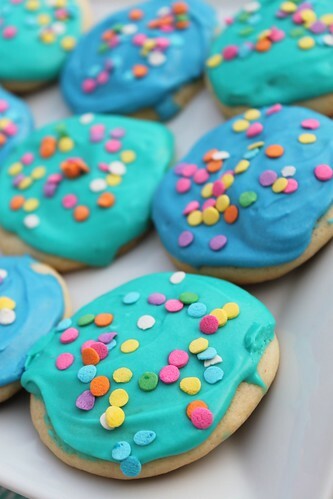 It was filed under Cookie, Dessert and was tagged with Cookie, Frosting, Homemade, Soft, Sprinkles, Store Bought, Sugar. These look like a swimming pool!! 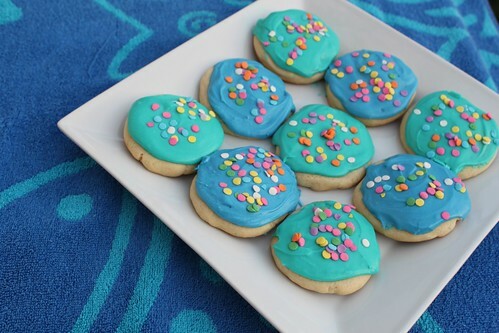 They also remind me of some cookies we made years ago with green icing. Yum! I sure wish I lived closer to be able to sample some of these treats! !